Ultimate Crystal-clear and Extremely-thin design; Very easy to apply and flawlessly fits well on your devices' screens. Highly-resistant to scratches and damages maintaining your devices' unique touchscreen sensitivity, crisp view and clarity. Can be easily removed by simply pulling off. Guaranteed Non-stick and Free from markings. 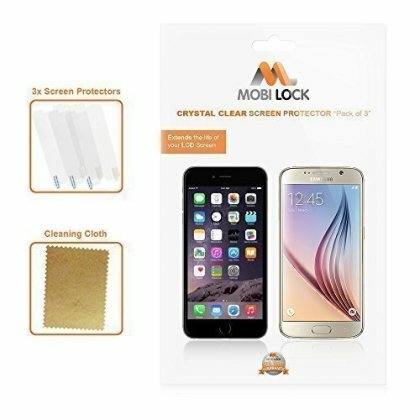 Advantages of Clear Screen Protectors: Completely transparent film that shows the best screen quality. Also best for people who use their mobile device to watch videos and images. Disadvantages of Clear Screen Protectors: Reflects the sunlight when using your phone outdoors.